This girly invitation features a blue and white polka dot design as the backdrop to the card. On the left side, a blushing bride holding a bouquet is placed. 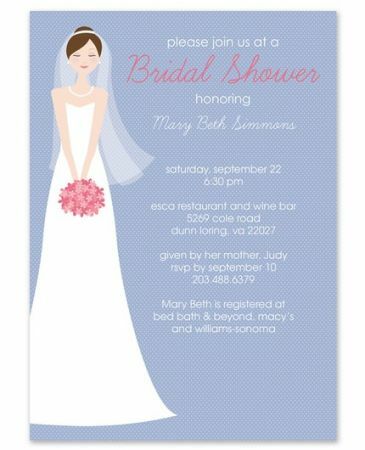 The right side of the card features the pre-printed wording “please join us at a Bridal Shower honoring” at the top directly above your personalized text.